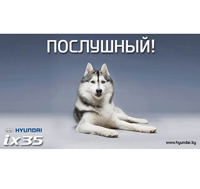 Tunghat’s Siberians: Headline on "Cães e Cia." The "Cães & Cia." 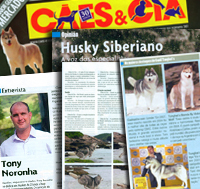 June issue brings Tunghat’s Siberians as a reference on the Breed in Brazil. Currently Tony Noronha is reference not only in Brazil, but around the world. 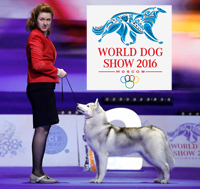 They have the Title Best Siberian Breeder for 9 years. This conquest reflects the serious work.